The Democratic Republic of the Congo (DRC)—a participating country in the United Nations Secretary-General’s global strategy to tackle challenges in increasing universal access to the 13 lifesaving medicines for women and children—is facing problems of funding coordination and quantifying the country’s needs for these vital medicines. This poses a major obstacle in achieving Millennium Development Goals 4 and 5. Moreover, this situation causes ongoing stock-outs or overstocks in health care facilities as well as uncontrolled losses in medicines, either due to tampering or untimely expiration. Given this context, the DRC has particularly emphasized the importance of developing a procurement plan to identify actual needs for essential medicines and specified supplies—and in particular, the 13 lifesaving medicines for women and children. Throughout this process, the USAID-funded Systems for Improved Access to Pharmaceuticals and Services Program (SIAPS) has played a key role in mobilizing the various partners of the Ministry of Health (MoH) and organizing meetings for MoH partners to coordinate activities that support increasing access to the 13 lifesaving medicines for women and children. In August 2013, the MoH of DRC received SIAPS support to introduce 7.1% chlorhexidine digluconate for umbilical cord care. A workshop was held August 29–30, 2013, to raise awareness among decision makers and operational partners on making the use of 7.1% chlorhexidine digluconate for umbilical cord care in DRC a priority activity when implementing the plan to eliminate bottlenecks for the 13 lifesaving medicines for women and children. 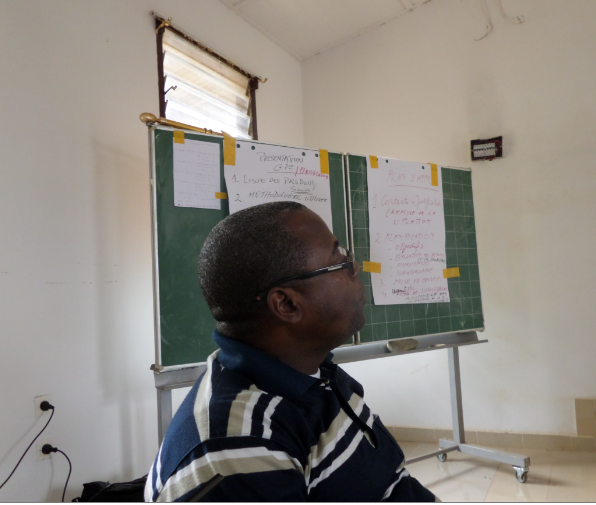 The workshop resulted in the preparation of a national strategy to introduce 7.1% chlorhexidine digluconate for umbilical cord care in DRC. In the same vein, from September 3 to 4, 2013, SIAPS assisted the MoH in carrying out an exercise to estimate unmet needs in essential medicines for maternal health focused on oxytocin, misoprostol, and magnesium sulfate in preparation for the quantification of the 13 lifesaving medicines for women and children. Throughout this process, SIAPS continued its support to the MoH to help put all 13 lifesaving medicines for women and children that were not previously covered on the list of essential medicines, including 7.1% chlorhexidine digluconate for umbilical cord care and misoprostol 200 micrograms (µg) for the prevention and treatment of postpartum hemorrhage. 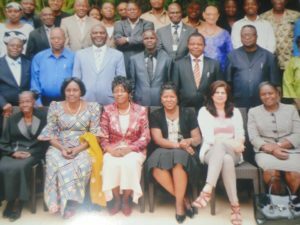 From July 21 to August 23, 2014, SIAPS pursued these efforts to help the MoH develop treatment guidelines on the use of oxytocin, misoprostol, and 7.1% chlorhexidine digluconate in DRC, followed by a workshop to adopt these guiding documents. From October 15 to 24, 2014, the DRC organized a workshop to estimate needs for the 13 lifesaving medicines for women and children with technical support from SIAPS. The timely completion of this exercise made it possible to meet the requirements for the National Pharmaceutical Strategy, the National Health Development Plan for 2011–2015, and the Acceleration Framework for Millennium Development Goals 4 and 5. 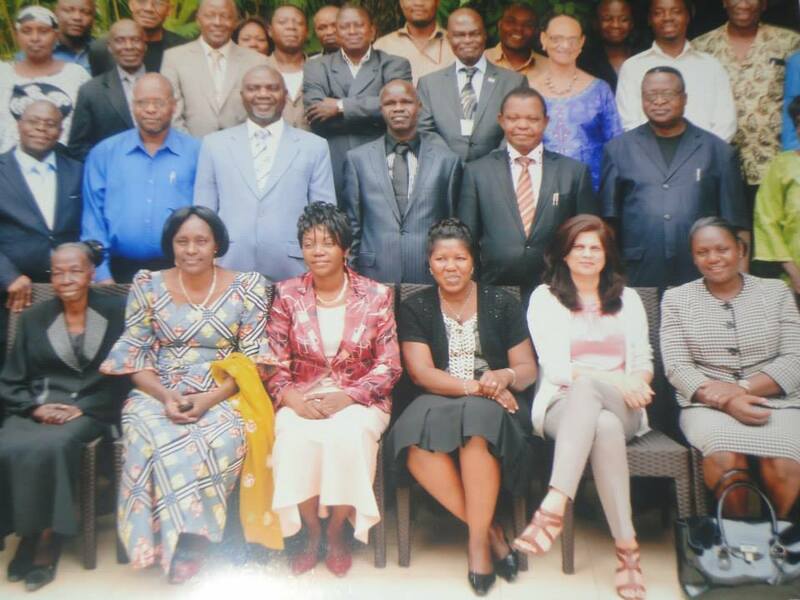 SIAPS presented the quantification methodology adapted to and suitable for the 13 essential medicines to the directorates and programs involved in medicine procurement in DRC. The steps for forecasting needs for emergency contraception, female condoms, implants, magnesium sulfate, misoprostol 200 µg, oxytocin, corticosteroids, 7.1% chlorhexidine digluconate, antibiotics for newborn sepsis, newborn resuscitation equipment, amoxicillin 250 mg DT, and oral rehydration salts and zinc were explained. Then, SIAPS led group work in using the quantification tool for reproductive, maternal, newborn, and child health commodities. The MoH was very pleased with the SIAPS support and accepted the quantification exercise results for the 13 lifesaving medicines for women and children that were presented for adoption by the MoH National Reproductive Health Program during the plenary session held with all MoH partners on October 25–28, 2014. Currently, the DRC has adopted the quantification methodology for the 13 lifesaving medicines for women and children developed by SIAPS and recommended its extension to ensure the availability of these medicines in other priority countries of the United Nations Commission on Life-Saving Commodities for Women and Children.